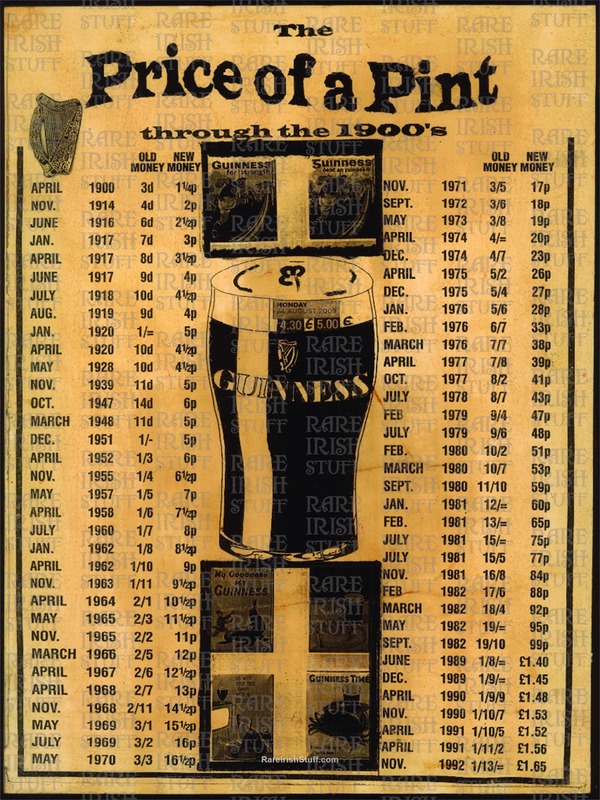 Price of a Pint through the 1900's. Each of the pieces in our archive have been digitally enhanced and are as perfect as possible taking into consideration the age of the original. We have also added a subtle 'aged look' to each print which adds an extra aura of authenticity and creates a stunning atmosphere when framed.